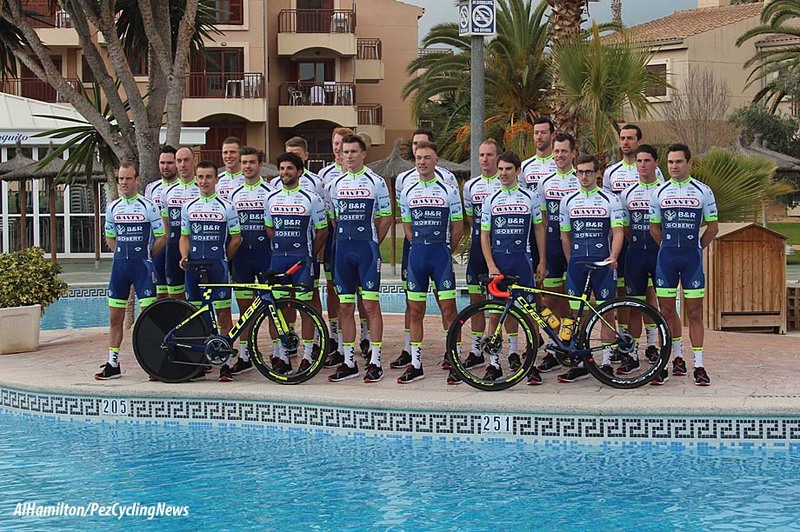 Photo and Video Special: The Wanty-Gobert team have had their presentations in Spain for a few years, for 2019 they are using a different venue, the Albir Gardens resort just a few kilometres from Benidorm. 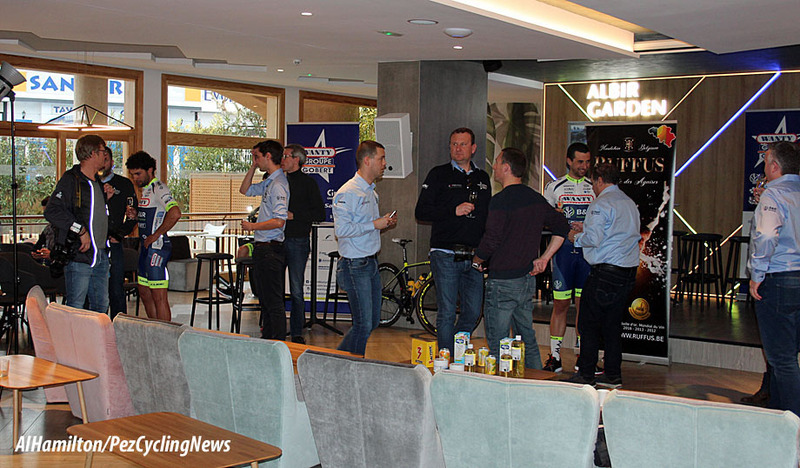 There was food and drink on offer and so our man Al Hamilton was there for the occasion. 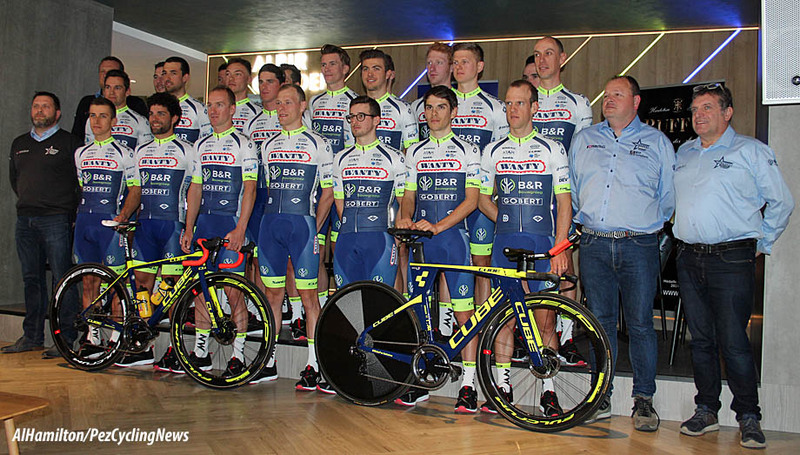 The Belgian Wanty-Gobert team (yes, they have dropped the Goupe bit from the name) was the No.1 ProContinental team on the EuropeanTour and Tim Dupont was 3rd on the individual ranking in 2018 and they are looking forward to the same success in 2019 and riding more WorldTour events in 2020. It was strange not to see Mark McNally at the presentation. The team had not kept him on after three years. 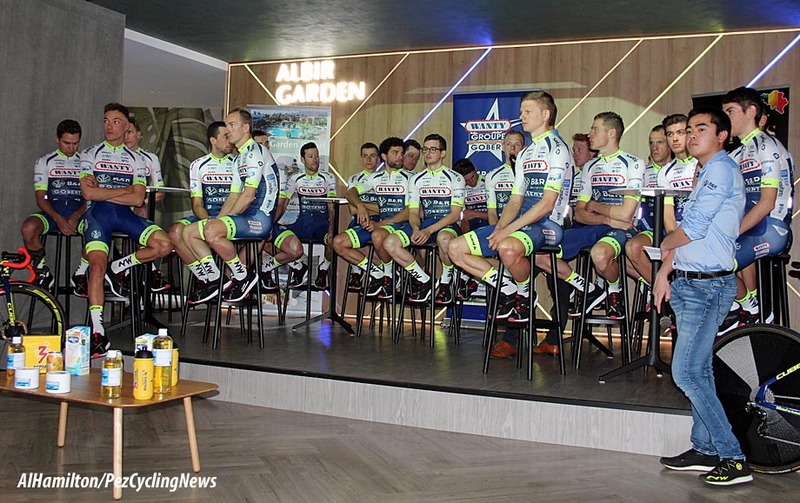 This cut down the British riders on the team to... none, but interviews with English speakers; Italian Andrea Pasqualon and Norwegian Odd Christian Eiking was no problem. Herding cats might be easier! Being the only English speaking jounalist at the presentation (as usual), the introductions, speeches and interviews were in either French or Flemish, but not to worry. 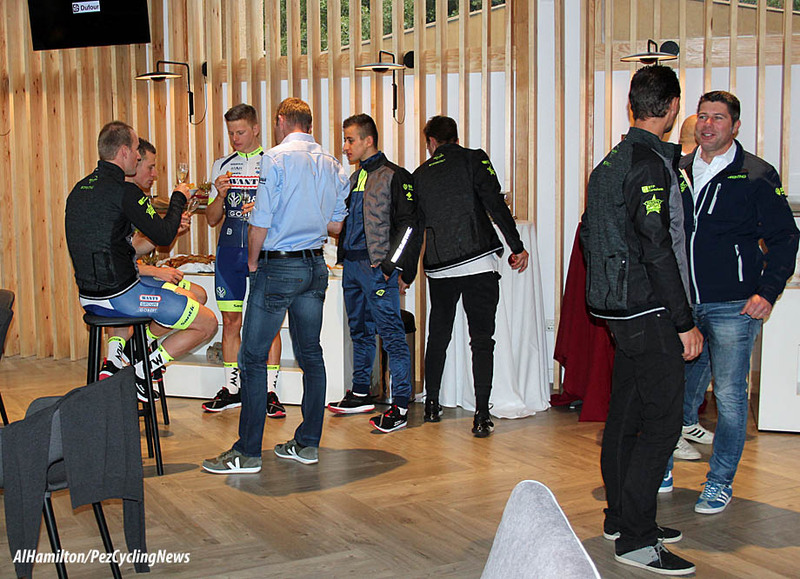 Not as big a production as CCC and Deceuninck - Quick-Step presentations, but much more personal. 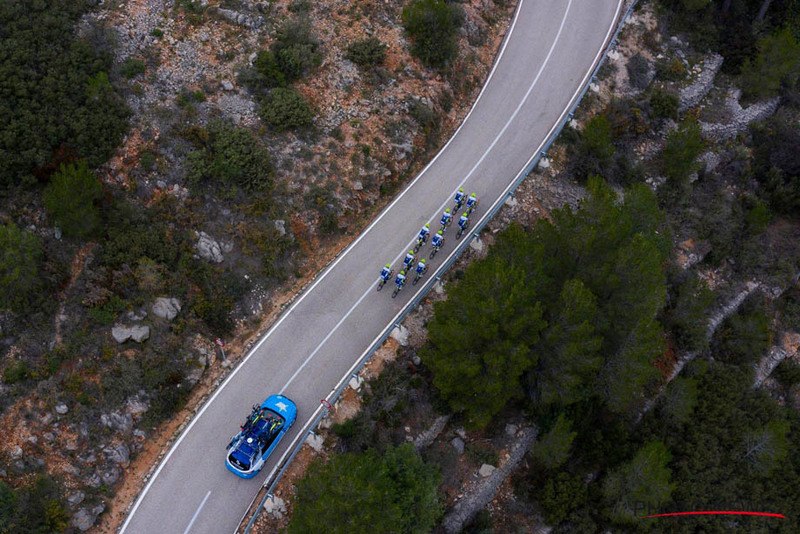 The DS's were ready for the 2019 season: Sébastien Demarbaix, Frederik Veuchelen, Steven De Neef and Jean-Marc Rossignon. 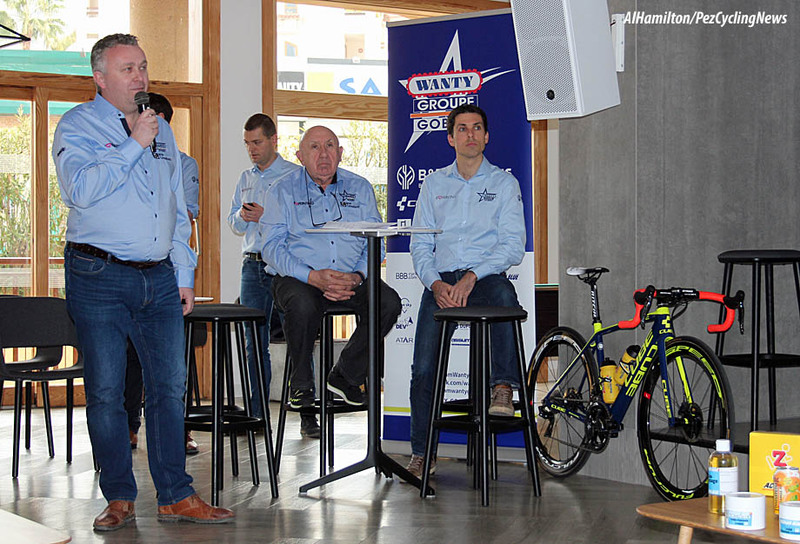 Team manager Jean-François Bourlart introduced the riders to the stage after a video of the 2018 successes and spoke of the 2019 Tour de France: "It is special that it passes through Binche, where the head office of Wanty is. 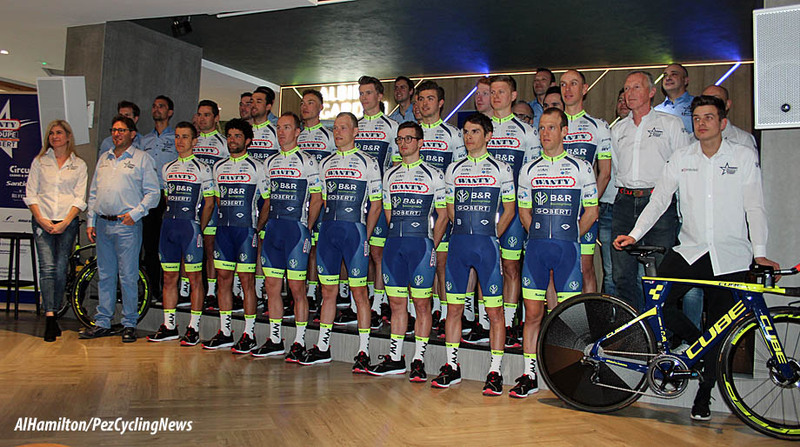 In the past two years we have also shown ourselves well in the Tour. But with someone like Martin in our team, we can aim higher. He has already gained two years of experience (last year 21st overall) and is still growing. We want to leave our mark even more this summer and why should we not be able to see with Guillaume how far he comes in the standings? He can cherish ambitions." 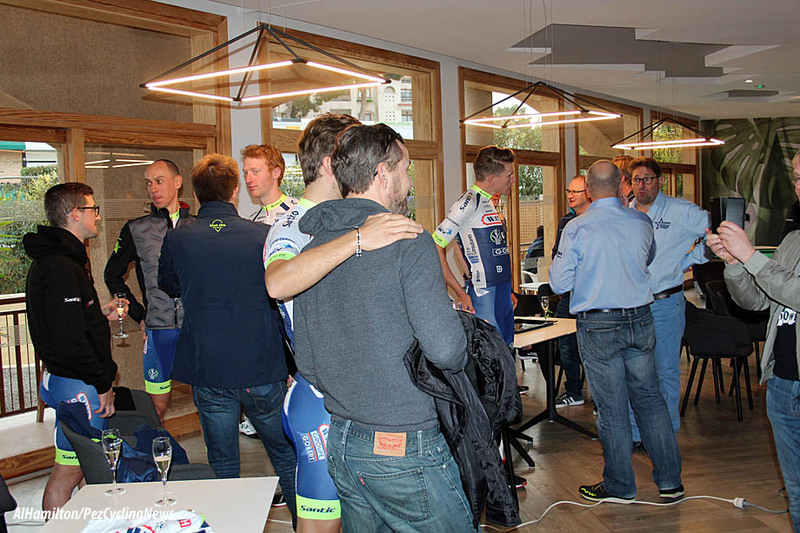 Bourlart spoke of new signing, Loïc Vliegen: "We wanted to have someone who is visible in the spring classics on behalf of our team. We found it in Loïc. He knows he has more responsibility than with BMC. He can stand his ground in many Classics. 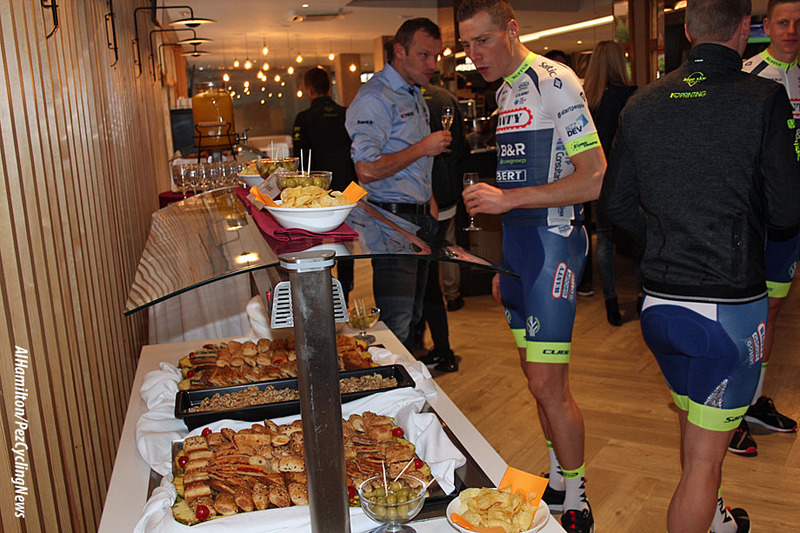 Not only in the Flemish work, because in 2016 he also became 9th in the Amstel Gold Race. He is also going to ride the Tour. There he has to lead Martin through the difficult, flat stages." 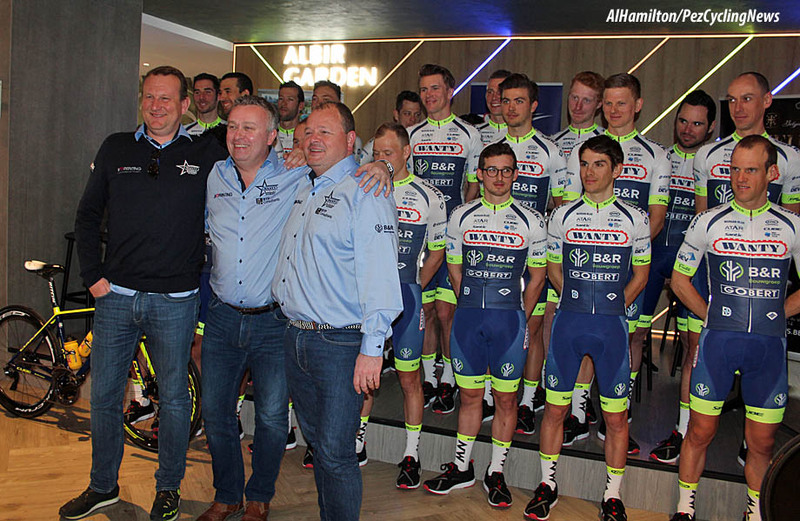 Hilaire Van der Schueren is one of the most experienced sports directors in the peloton. He has been described as: "Beste ploegleider van de planeet en ver daarbuiten!!!" (The best team-leader on the planet and beyond). Van der Schueren was never a rider, but has been a DS since his early 20s and celebrated his 70th birthday on Wednesday the 22nd of January. 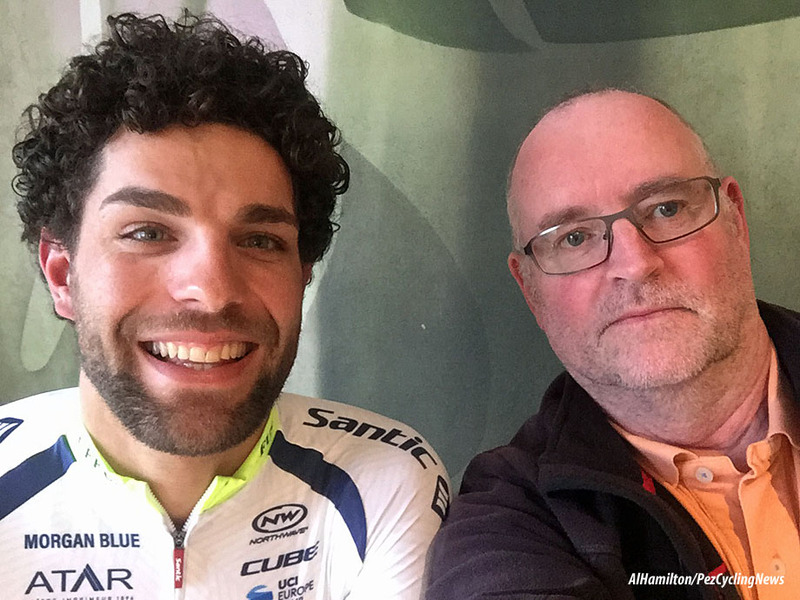 The old Belgian reviewed the 2018 season and set out his hopes for 2019 with the Classics and the Tour de France being the most important. One of the new sponsors of the team is Ruffus wine, a Belgian made 'sparkling' wine, obviously you can't call it Champagne as it is Belgian, but it made in the same way, and it's a nice little drop. 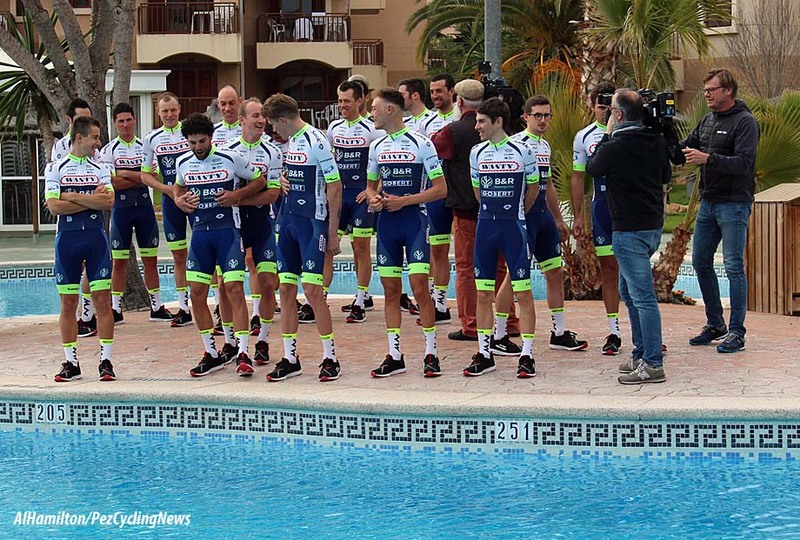 Time for more team photos, Ruffus wine and the buffet.... and the rider interviews. Big thanks to press officers Maxime Segers and Jonas Verheyen for setting everything up.